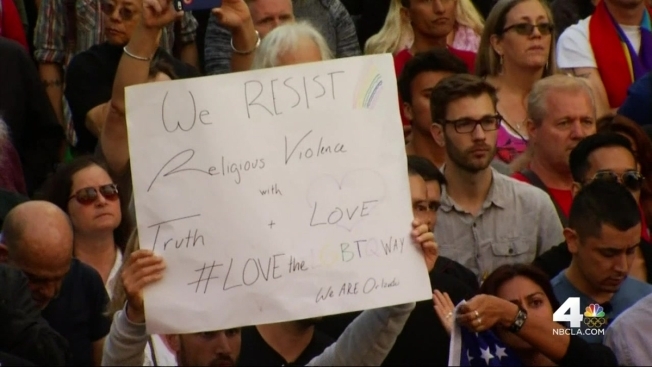 Thousands attended a downtown Los Angeles vigil for those killed in a rampage at a gay club in Orlando, Florida, as singer Lady Gaga read the names of the slain to a hushed crowd. Los Angeles' lesbian, gay, bisexual and transgender community chanted loud and proud before Lady Gaga, an advocate for LGBT equality, approached the podium at City Hall Monday night in a surprise appearance. "Like all prejudicial crimes, this is an attack on humanity itself," Lady Gaga said with tears in her eyes. She led in reading the names of the 49 victims. Activists also spoke to the crowd, vowing not to give in to terror. "We have fought for marriage. We have fought for equality. Every step of the way we have been afraid. 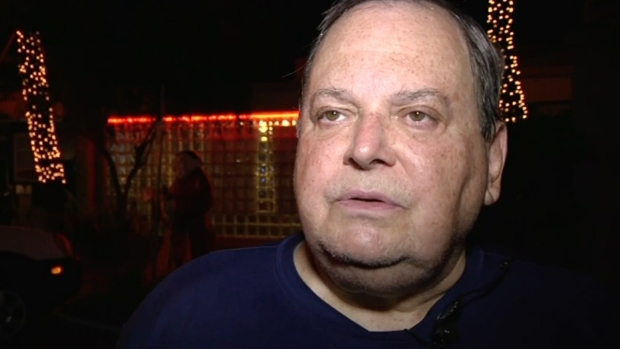 We have walked forward anyway," West Hollywood councilman John Duran said. Lady Gaga shed tears as many in the crowd embraced. "We represent the compassion and loyalty of millions of people that believe in you. You are not alone!" Lady Gaga said. Vivian Romero, Montebello Mayor pro tempore and a married gay woman, welcomed the words of solidarity after gunman Omar Mateen stormed a crowded nightclub and opened fire on the patrons over the weekend. "If my wife and I can't live in a country where we are free to be who we are, love who we want, we don't want to live here," Romero said. Her spouse also attended the vigil, saying love is the answer - not hate. "We have to come together and understand each other," Shannon Calland said.